Add elegance and drama to any indoor or outdoor display. 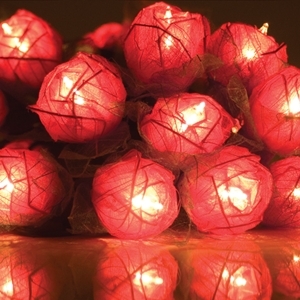 These Rose Lights are an eco-friendly, sustainable plant product made from real leaves. To prepare your flower lights for display, simply remove the strand from the package and lightly mist each leaf cluster with water using a standard spray bottle. Then watch as the colorful leaves bloom open before your eyes.